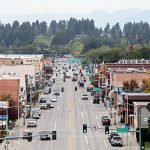 Earlier this month, at the Kalispell Chamber of Commerce’s luncheon, it became clear how many incentives businesses and investors have to put their roots down in Kalispell’s downtown. In additional chamber awards, Debbi and Dave Waldenberg were named businesspeople of their year, and Clint Ekern was named chamber member of the year. The tour, which started in the 1990s, is the Flathead Valley’s celebration during the Department of Natural Resources and Conservation’s Montana Forest Products Week. 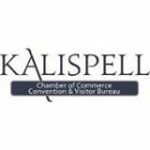 The Kalispell Chamber Board of Directors believes the 6 Mil levy is good for the welfare of all Montana communities as it keeps education affordable, which helps establish a skilled workforce for the state.